305 Sq. Km. 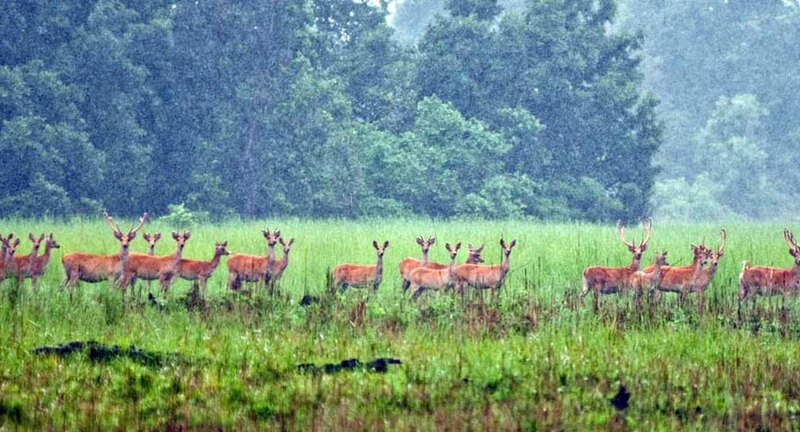 which was a Royal hunting domain & prime habitat of swamp-deer, tiger, elephant, blue bull, leopard, chittal, wild boar, 300 species of birds along with vast no. of reptiles and amphibians.